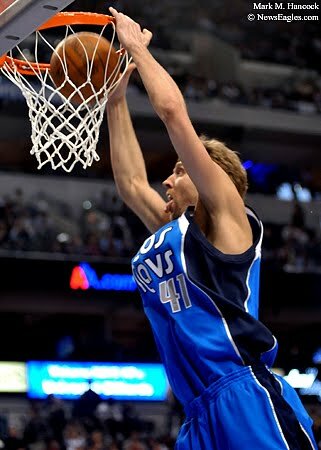 Mavericks' Dirk Nowitzki (41) slams the ball into the net during a basketball game against the New York Knicks' in Dallas. Dallas Mavericks Dancers' Paige Jones performs during a break in the basketball game against the Knicks' at American Airlines Center. Mavericks' Caron Butler (4) runs into Knicks' Wilson Chandler (21) during a basketball game in Dallas. 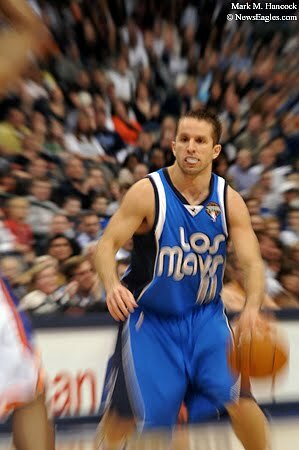 Mavericks' Jose Juan Barea (11) moves the ball against the New York Knicks' during a basketball game at American Airlines Center in Dallas on March 13, 2010. 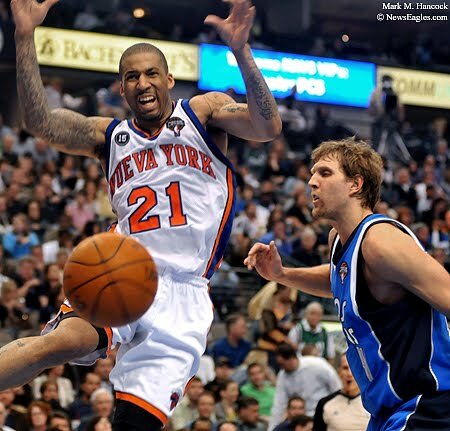 Knicks' Wilson Chandler (21) objects as the ball is knocked away by Mavericks' Dirk Nowitzki (41) during a basketball game at American Airlines Center. 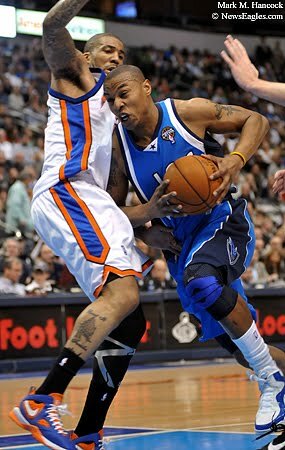 Mavericks' Caron Butler (4) gets fouled by Knicks' Wilson Chandler (21) during a basketball game at American Airlines Center in Dallas. New York won the game 128-94. 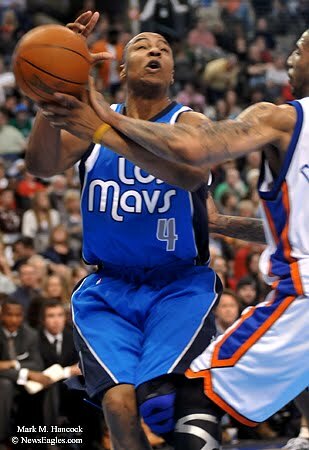 The Mavs play the San Antonio Spurs in the first game of the I-35 playoff challenge tonight at 7 p.m. Please read, "Numerous offensive options make Mavericks too hot for Spurs" by Jean-Jacques Taylor / The Dallas Morning News. 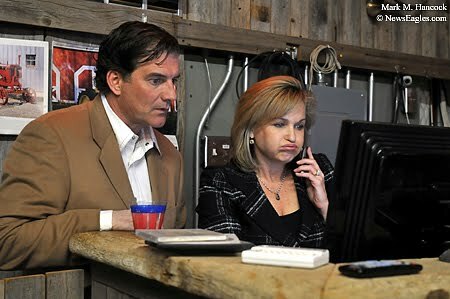 Candidate John Muns looks on as campaign manager Lori Geer exhales at early voting results during a Collin County Republican primary election party at the Haggard Barn in Plano on March 1, 2010. Longtime Plano ISD board member John Muns ran against incumbent Keith Self for Collin County judge. Supporters of Collin County Republican candidates John Muns and Duncan Webb attend a primary election party at the Haggard Barn in Plano on March 1, 2010. Webb won his primary election. Muns lost. 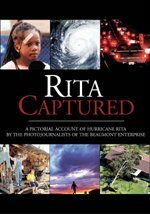 Named in this slideshow are: John Muns, Cheryl Joyner, Richard Joyner, Joan Webb, George A. Elwell, Duncan Webb, James D. Webb III, Phil Dyer and Lori Geer. 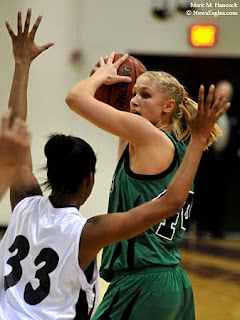 Lewisville's Je'Naya Brown (12) bounces the ball off Southlake Carroll's Christie Groh (44) during a girls high school basketball game at Lewisville High School in Lewisville on Friday, Jan. 29, 2010. Southlake Carroll's Christie Groh (44) looks to pass around Lewisville's Aubree Butts (33) during a girls basketball game at Lewisville High School. 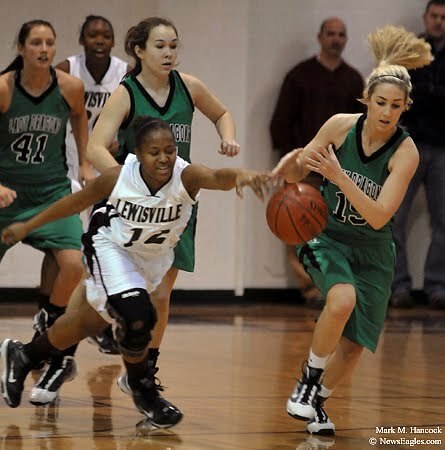 Lewisville's Je'Naya Brown (12) counter-steals the ball from Southlake Carroll's Sierra Maykus (15) during a girls high school basketball game at Lewisville High School. 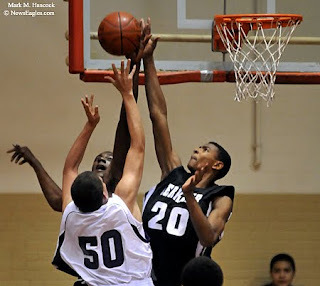 Richardson Berkner's Jordan Mickey (20) and Soma Edo (25) slap away the shot of Dallas Sunset's Sammy Herrera (50) during a high school basketball game at Sprague Fieldhouse in Dallas on Friday, Jan. 15, 2010. Richardson Berkner plays Dallas Sunset during a high school basketball game at Sprague Fieldhouse in Dallas. Named in this slideshow are: Devante Donaldson, Soma Edo, Kendal Harris, Mike Harris, Sammy Herrera, Brandon Joseph, Daniel "D.J." Martinez, Jordan Mickey and Xavier Thomas. 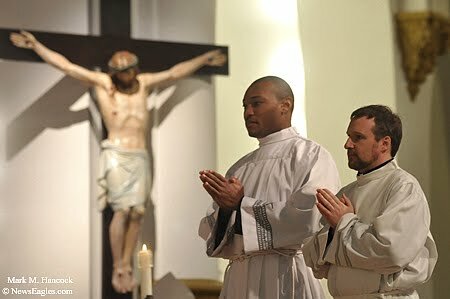 Deacon candidates Arthur Unachukwa and Allan P. McDonald stand for the Election by the Bishop and Consent of the People during a deacon ordination at the Cathedral Shrine of the Blessed Virgin Mary of Guadalupe in Dallas on Saturday, March 13, 2010. Deacon candidates Arthur Unachukwa and Allan P. McDonald are ordained at the Cathedral Shrine of the Blessed Virgin Mary of Guadalupe in Dallas. 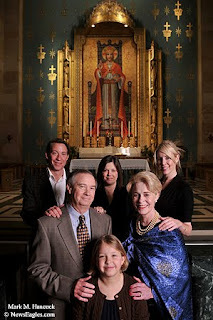 Named in this slideshow (in order of appearance) are: Arthur Unachukwa, Allan P. McDonald, Bishop Joseph Martino of Scranton, Bishop Charles Grahmann, Bishop Elect Mark J. Seitz, Marco Polo Rangel, Bishop Kevin J. Farrell, Bishop Elect J. Douglas Deshotel, Fr. T. Michael Dugan, and Jean McDonald of Preston, England. 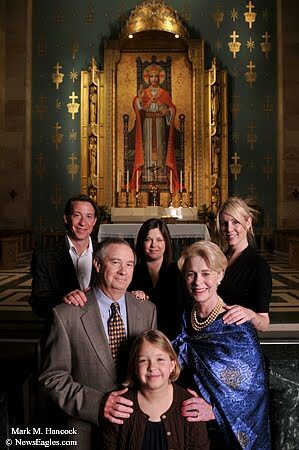 Jim Hawkins and Andree Hawkins pose for a portrait with their children Matt Hawkins (top row from left to right), Mollie Shelby, Laura Hawkins and granddaughter Kendrick Hawkins at Christ The King Catholic Church in Dallas on Sunday, Jan. 31, 2010.